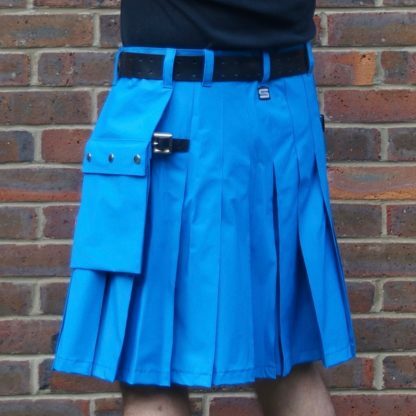 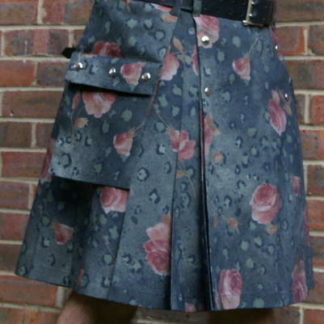 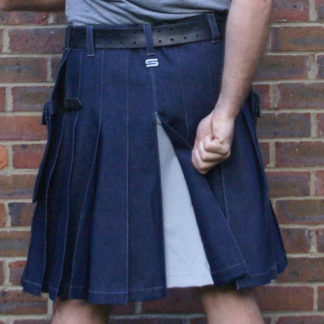 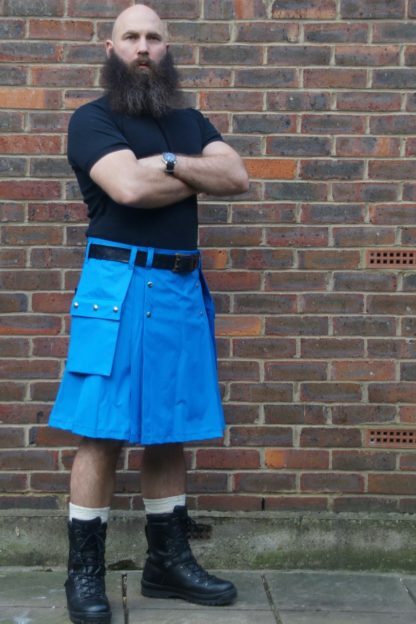 This has the look and feel of a rubber kilt but in a much thicker and more durable form. 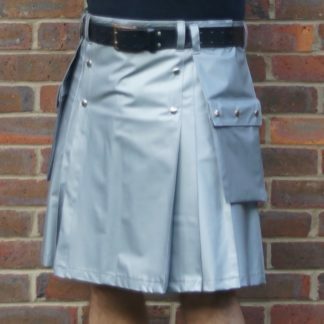 This fabric was originally used by Belstaff and I managed to buy enough for just a few Skilts. 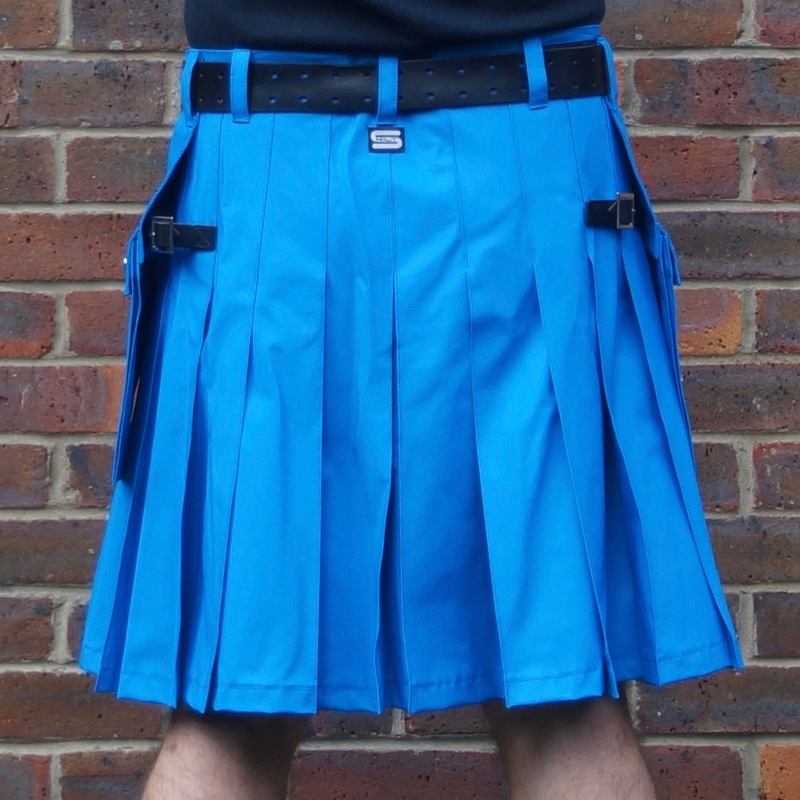 It has a rubber layer applied to a fabric base and in real life the colour is a vibrant electric blue that addled my main camera – it is closest in colour to the lighter blue fabric pic. 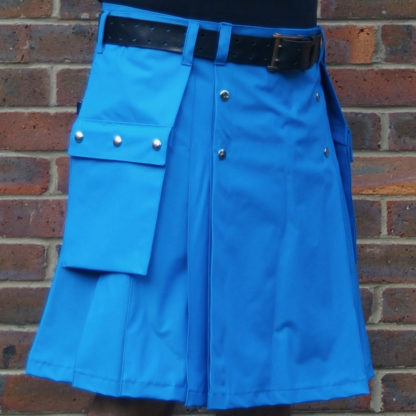 Wash in soapy water – do not dry clean!